Go to Settings - Language & Keyboard - Enable Chinese keyboard. Tap Chinese keyboard settings - select English Input Method and select Quick text for T9. Enable Swipe to switch layout settings so you can switch between alpha numeric and qwerty layout when typing. When typing longpress the text editor box - tap input method - select Chinese keyboard. Alpha numeric layout then appears. Note: only letters appear in "alpha numerical" order, not with number keys. cristina, 26 May 2011hy, i can't decide between x8 and nokia n97 mini, what do u think ? Thanks very muchWill X6 8gb be a better option for you...??? nicole, 24 May 2011i am an x8 and arc user.. i think both phones rock :) even if arc has an android version 2.3 b... moreThanks much for your response. . . Well, im kinda cofused since the store im planning to buy ths uni old me that is sill version 1.6.. . So was that version 2.1 are already out in the market? or shall i consider a special order for a higher version?? 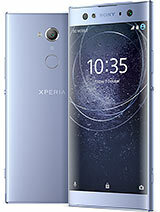 Can someone tell me.... is X8 upgradable to Android 2.2 and 2.3........? hey ppl... i bought my x8 3dayz back. ita really an awesome phone !. bu de problem is dat m not used wyt qwerty keypad, so how can i switch to the ALPHA NUMERIC keypad?? is dat possible?? jannixx, 24 May 2011do we need a certificate for the fon to download applications from the internet?are the apps f... moreYou just need to sign your Google account before accessing android market. Some of the apps. available in there are free to download (freeware or free trial) and there are some paid ones aswell. But remember you might be charged for the amount of data transferred by your operator. i got my x8 2days ago. i dont know how to find live wall papers and new games some one pls help me!!!!!!! Should I go for the X8 or the Nokia 5230 ? AnonD-9157, 24 May 2011my text settings get Chinese keyboard,but in writing language don't have Chinese icon to press... moreFirst go to settings, go to "language and keyboard" then select Chinese Keyboard. does this phone support chinese??? ?